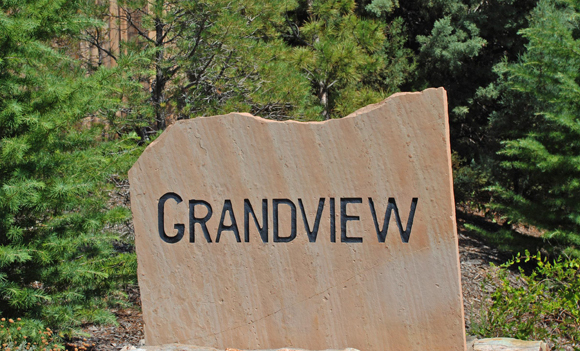 Grandview is a peaceful community located near Iron Springs Road and Williamson Valley Road in Prescott, Arizona. Grandview is located in the county limits, which saves homeowners from paying city taxes. It is one of the few-site built only neighborhoods in Prescott with no HOA. The average lot size is between one-third and 1.3 acres. The large lots offer room for you to add on, park your RV, or sit back and enjoy watching the wildlife in your own private park. With it being located only 10 minutes from historic Downtown Prescott, approximately a mile from the Yavapai Regional Medical Center, and walking distance to Abia Judd Elementary and Granite Mountain Middle School, residents have easy access to all that Prescott has to offer. Homes for sale in this one-of-a-kind community are set in the boulder outcroppings and native trees, giving a peaceful forest setting in this quiet well established neighborhood. Residence enjoy privacy and amazing mountain views, including Granite Mountain and Thumb Butte, and have miles of trails surrounding them. For more information on homes for sale in Grandview, give John Gorden with BloomTree Realty a call at 928-308-0101.